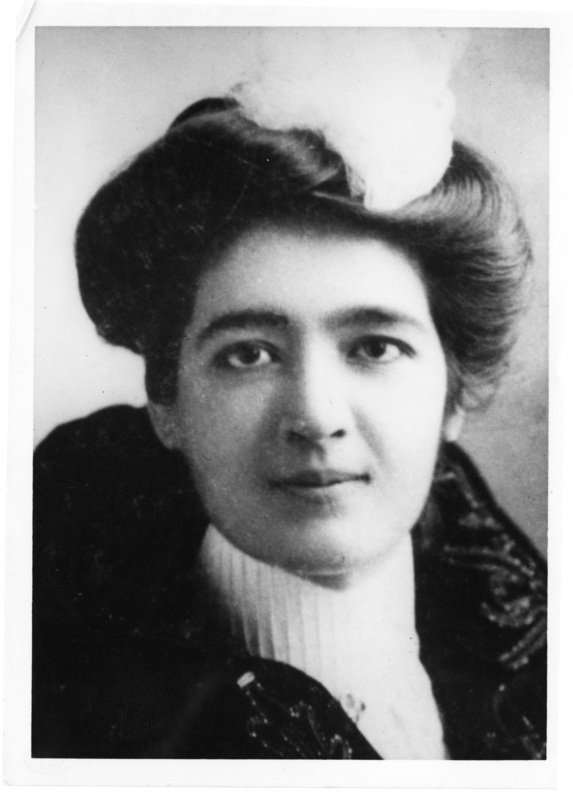 Queen of America: A Saint Losing Her Sainthood? Queen of America, A Saint Losing her Sainthood? Luis Alberto Urrea describes Queen of America, his second book about the famous Mexican curandera Teresa Urrea (his Yaqui Indian great aunt) as a kind of science fiction story. Teresa, or Teresita as she is called, takes a train from the mystical deserts of the U.S.-Mexico borderlands, to bustling turn of the century American cities, where she is surrounded by the magic of street cars, electric lights, baseball and ice cream sundaes. In Queen of America, the sequel to 2005’s Hummingbird’s Daughter, Teresita becomes a woman with flesh and blood desires. In her travels from San Francisco to New York City, she falls in love and bears two children, wins a beauty contest, and makes money by performing her healing for privileged white audiences. In the process, Urrea seems to be suggesting that perhaps Teresita lost the magic she possessed as a teenager in Sonora, where she healed “the People”– the indigenous Yaqui, Mayo and Apache– as well as the dispossessed peasants of the Mexican countryside. Or perhaps she became bored with the whole “saint routine,” as Urrea describes her healing practice in the United States. 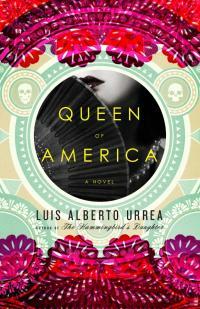 In Queen of America, Luis Urrea is especially good at contextualizing the time period and making the male characters come to life: Tomás Urrea, Tereista’s prideful and funny hacendado father, Guadalupe Rodriguez-her dark and insane first husband, and the hard drinking John Van Order, her interpreter and father of her two children. Urrea has fun with these characters, as well as some minor ones like Tomás’s lazy but faithful sidekick Segundo. Queen of America is an engaging continuation of the story of the famous curandera and folk saint Teresita Urrea, but it is also a lively description of turn of the century America. Jennifer great review. Queen of America sounds like a great text and a vacation from the bazillion “monographs” we have to read in a semester. Are you reading this historical novel for a class? In my American Studies classes as an undergraduate, we would read a historically relevant novel along side history. Maybe we were breaking some law of “objectivity,” but I often wonder if we were allowed to do this in our graduate studies courses would we improve on our writing or even make us better historians. Anyway, I read this great article on the AHA website. It was passed to me by a good friend at Michigan. The article speaks to this very question. thanks jessica. I am doing my dissertation on faith healing in the borderlands, focusing on Teresa Urrea and Don Pedrito Jaramillo, so I am reading everything about them and any curandera/os I can get my hands on. I totally agree with you about reading literature alongside academic monographs! I did a field in colonial/postcolialism for my comprehensive exams, and the professor let me add as much relevant fiction as I wanted. So I read Wide Sargasso Sea, Things Fall Apart, Jewel in the Crown, A Passage To India, and several Carlos Fuentes short stories. It was exhilerating. I hope I can do that when I teach. “…a complex, conflicted woman who in the modern magic of the city loses the Indian magic of the desert.” This is very interesting, Jenny, thanks for the review. Can you speak a little more about how Urrea approaches this idea of the loss and regaining of the “magic?” What message is Urrea conveying about modernity, race, etc? I think Urrea is suggesting two things. One, that the kind of magic Teresita made in the desert, in her homeland, came from the earth: local herbs, soil, and the local people in their land. There was magic in the cities too, but the magic was not of her making, it was forced upon her, like the corsets, hats, hoops and hairstyles she donned when she performed there. In the cities, her healing practice of curandersimo became secondary to her becoming an exotic other preforming herself and her healing practice. But I also think Urrea is saying that Teresita wanted to try those things, she wanted to experience the modernity of the cities and find out who she was there. She was becoming tired of the “saint routine” she felt had been, in some ways, thrust upon her since she received the gift of supernatural healing. I think Urrea is trying not to essentailize Teresita as only a Saint of the borderlands who loses her power when she leaves there, I think he is suggesting she choose to change, at least for a while. Then she decided to return to her homeland and the shamanic magic of the desert. I think that one of Urrea’s achievements in this book — as both a writer and a historian — is to capture the profound weirdness of urban modernity, how things such as streetlights, indoor plumbing, automobiles, movies, refrigeration that we take for granted were so powerfully new in their youth. And they were both liberating and built on massive destruction and violence: hence Teresita’s mixed desires. It’s a profound act of empathy across time and cultural distance — something that I think the discipline of history can do, but only if historians self-consciously think like writers, as per our discussion thread. Thanks for that insight Professor Ben. I had not thought of Teresita’s conflicted desires regarding modernity as a reaction to the violence of modernity, but I think you are right. The examples that struck me most in Queen of America are the descriptions of Teresita dressing. Modern dress potentially did violence to women’s bodies by overly constraining and forcing bodies into unnatural shapes. Several times Urrea describes Teresita strapping herself into corsets and pinning her hair up and putting on layers of clothes, like she was preparing to go to war. Do you think there is a groundswell happening to move towards more narrative history?